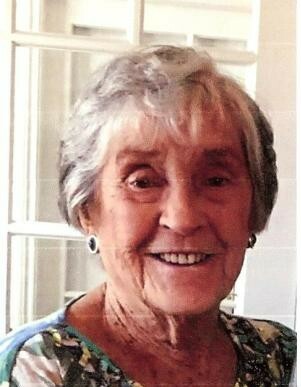 Florence Ruth Garris, 92, of Lancaster Ohio, died January 16, 2019, at home, surrounded by her family. She was born August 31, 1926, on her parents' farm near Beverly, Ohio. She was the daughter of Rev.Walter and Blanche Clark. Ruth graduated from Beverly High School in 1944, then trained as a cosmetologist. In 1947, she had her first date with Noah Garris at the Morgan County Fair and they married in 1948. They were married happily for nearly 70 years, until his death in 2017. Ruth worked in cosmetology and in a relay factory, owned and operated an antique shop, and co-edited a square dance magazine. She and Noah enjoyed traveling to every state, most of Canada, several countries in Europe and Africa, and lived in Nigeria for two years. They enjoyed many travels and fun times with friends in Florida for over 25 years. Ruth worked at her Florida church and at her Lancaster church, Maple Street United Methodist, in their mission stores. She had been a Sunday school and Bible school teacher, a 4-H advisor, and a very good senior doubles tennis player, once coming within one match of winning the Florida state championship and going to nationals. But she considered her most important accomplishment to be her family, and loved them dearly. They are: Dianne Combs (Rick) and their children Amy Broughton (Mike and children Alaina and Ben) and Troy Combs (Sarah and children Cecilia, Emma, and Noah); Steven Garris (Carol) and his children Carolyn Raney (Jordan and children Daniel, Catherine, Gwendolyn Ruth, Hannah and Lillian) and Clark Garris (Tiffany and children Dakota and Dixon); and, Cathy Davis (Gordon) and their children Andrew and Austin. Ruth was preceded in death by her husband Noah, her parents, eight brothers and sisters and their spouses, and infant granddaughter Sabra. There will be calling hours from 12-2 on Sunday, January 20, at McCurdy Funeral Home, 309 6th St., Beverly, OH, followed by a funeral service with Rev. Kevin Chambers officiating. A brief graveside service will follow at Smith's Chapel Cemetery.